The July 2016 issue of NFPA News, our free monthly codes and standards newsletter, is now available. There was a lot of awareness at the ASHE Conference regarding the CMS changes and NFPA 101 & 99. Make sure to log in to expand your knowledge with some of NFPA’s resources. The U.S. Centers for Medicare & Medicaid Services (CMS) has published its final rule that requires health care facilities to migrate from using the 2000 edition of NFPA 101, Life Safety Code to the 2012 edition; and mandates direct compliance with the 2012 edition of NFPA 99, Health Care Facilities Code, for the first time. This 1-hour webinar (available for free to all registered users) will broaden your overview of some of the major changes you need to comply with, so you can raise awareness in your department or organization. Have you ever wondered what the NFPA 99 requirements are for the storage of medical gas cylinders? Log in to Xchange or register for free today to download your copy of the Medical Gas Cylinder Storage white paper. It details what those requirements are for different storage locations, special considerations for cylinder storage, signage requirements, ventilation, and it addresses a few of the most frequently asked questions about the NFPA 99 requirements for medical gas cylinders. If you had a chance to visit the National Fire Protection Association booth or attend any of Jonathan Hart’s sessions at the ASHE Technical Trade show and have any follow up needs or questions please reach out to me at coneill@nfpa.org. A devastating fire broke out in the middle of the night on Thursday at the Lakehaven/Zamani Child and Youth Care Centre orphanage in the South African coastal region of Durban killing eight. Six of the victims were minors – the two youngest were seven years old. Four others were treated for smoke inhalation. Police are still investigating the cause of the fire at the 60-year old facility. Reuters reports that although fires often take place in South African townships, they are not common in public buildings. The tragic incident calls to mind another devastating fire six years ago when 15 people were killed in a fire at an orphanage in the KwaZulu-Natal province of South Africa. Thirteen children perished in the 2010 blaze, and the house was completely destroyed when fire ripped through the Hope of Christ Home in Newcastle. 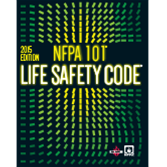 NFPA 1: How the Fire Code and Life Safety Code work together. Today I am packing my bags for a week of committee meetings in Fort Lauderdale, Florida. Next week, the Safety to Life and Building Code occupancy Technical Committees will be holding their Second Draft meetings. Eight different committees will meet to develop the Second Draft of NFPA 101, Life Safety Code and NFPA 5000, Building Construction and Safety Code. Just a few weeks back, the committees for the core chapters met at the same location. Did you know that NFPA 1, Fire Code extracts from NFPA 101 more than any other document? NFPA 1 extracts from more than 50 NFPA codes and standards, but approximately 100 pages of the 650(ish) page Fire Code are directly from NFPA 101. The Code includes provisions from NFPA 101 that address occupancy classification, building services, features of fire protection, means of egress, special structures, and occupancy specific provisions for fire protection systems, interior finish, furnishings and decorations, drills, and operating features. Do you know how to recognize if a provision in the Code is "extracted" from another document? A requirement extracted from another standard will contain a reference to the code/standard number and section in brackets at the end of the requirement in NFPA 1. The edition of the document being extracted can be found in Chapter 2 of NFPA 1. When a provision is extracted into an NFPA code, such as NFPA 1, it cannot be modified. You can follow the work of the NFPA 1, NFPA 101, and NFPA 5000 Technical Committees by visiting their document information pages (www.nfpa.org/##). Off to Fort Lauderdale! Have a great week!